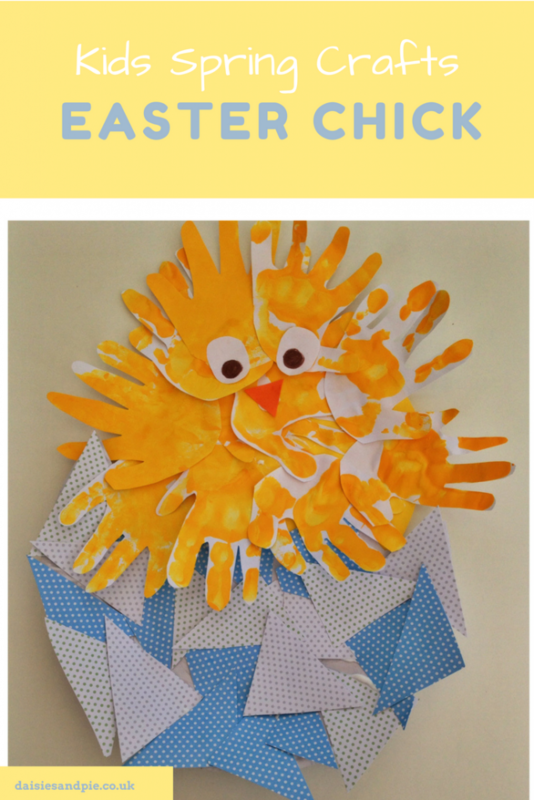 A bright, fun and simple Easter art activity for young children. Lovely and messy! 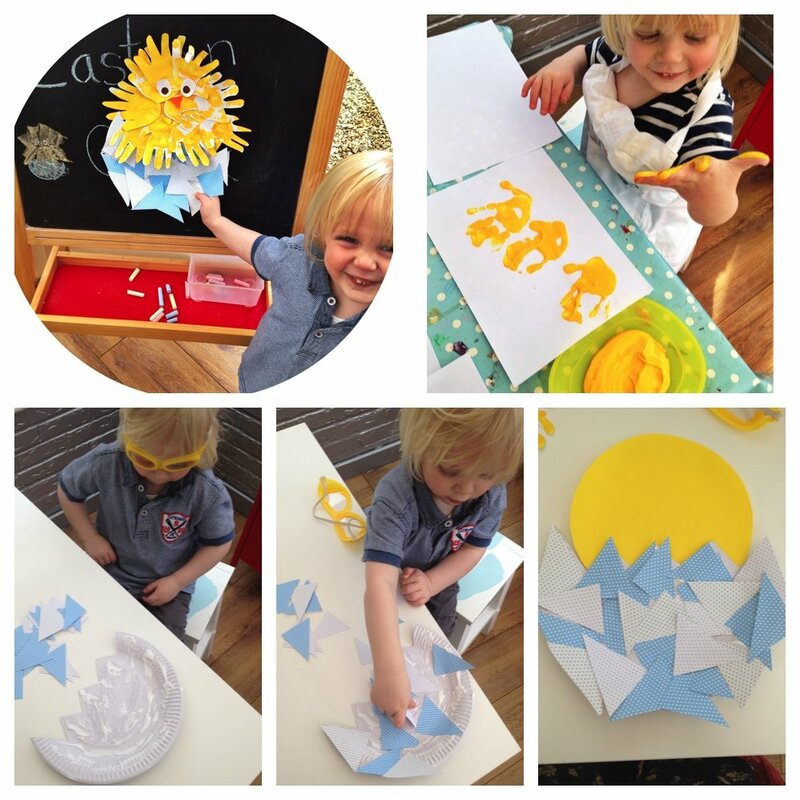 I love the kids art around spring time, they always seem extra proud of spring art, kids seem to have a natural love of baby chicks and baby lambs and really enjoy the cute aspect of creating spring art work. Firstly tip the yellow paint into the paint tray/old plate and make lots and lots of yellow handprints. Once the handprints are dry cut them out – young children will need help with this. Cut the paper plate in half – leaving a zigzag edge for the cracked egg shell effect. Splatter the paper plate with glue and stick on the blue triangles – this will be the egg shell. Cut a circle out of the yellow paper to be the chicks body. Stick this to the egg shell. 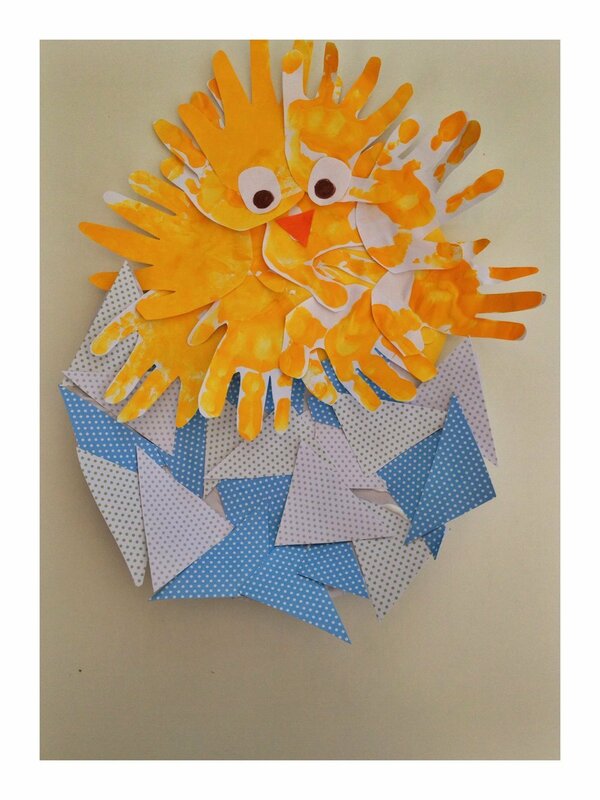 Splatter the yellow circle with glue and stick on the yellow handprints – these will be the fluffy spring chick. Next cut out two circles from white paper and colour pupils with a brown pencil – these are the chicks eyes. Cut out a triangle of orange paper to be the chicks beak. Stick the eyes and beak onto the chick with glue. This is a lovely craft to kick off spring time and Easter celebrations.